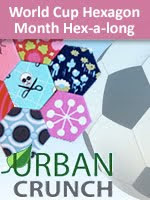 Jaclyn from Urban Crunch was one of my swap partners in the recent International Fat Quarter Swap and she's co ordinating this brilliant Hex-a-long. 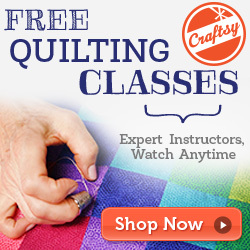 I just love that hexagons are taking over the world, so to speak, at the moment! Be sure to pop over to Urban Crunch and check out the hexagon flikr group too. Thanks for spreading the word Bree!